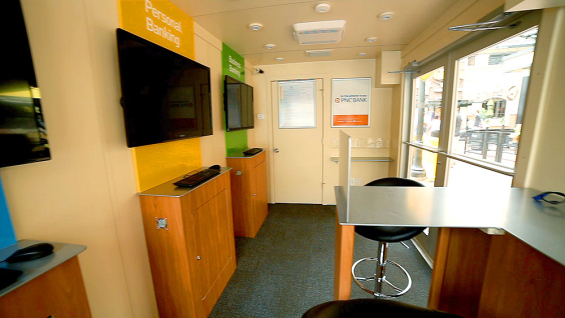 This portable, temporary bank is so small — only 160 square feet, smaller than most people’s bedrooms — that it fits on a sidewalk. 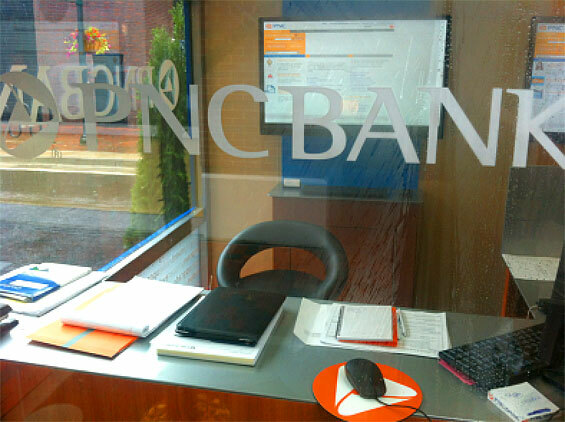 PNC is introducing a spate of new concept branches signaling the bank’s shift from teller lines and transactions to technology and conversations. 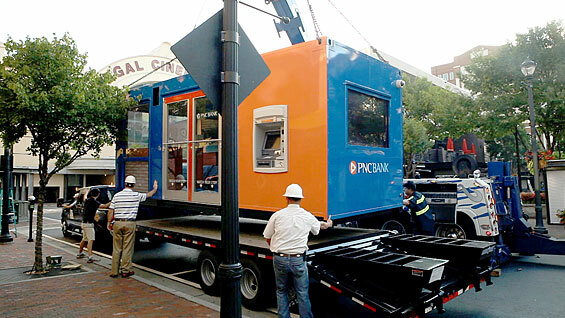 PNC Bank’s newest branch is so small, it fits on a tow truck. The branch will be staffed with a single financial service consultant instead of a teller. The staffer will help with new accounts, personal loans, credit cards, and refer customers for high-value services like home loans and investments. They will also use iPads to demonstrate innovative online and mobile services like PNC’s Virtual Wallet and Cash Flow Insight for small businesses. The branch also has a 24/7 “Smart ATM” that allows customers to cash checks, deposit multiple checks or cash, and dispenses $1 bills. 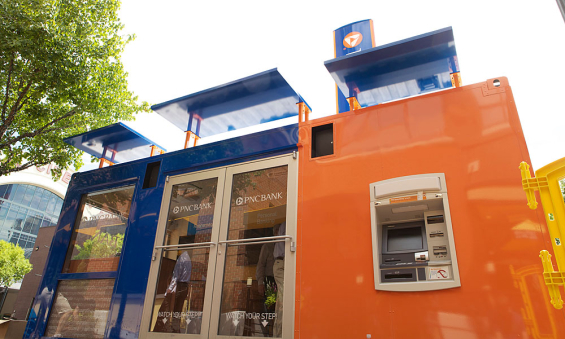 Measuring a mere 20 feet by 8 feet and weighing an estimated 8,000 pounds, this branch is the smallest PNC has ever built. The bank says it cost one tenth what a typical location might cost to build. The unique structure will be open seven days a week from July 30 through mid-November at Atlantic Station, a mixed-use neighborhood with housing, restaurants, theaters and retailers built on the former site of the Atlantic Steel Mill. PNC says the three-month trial will help them determine if there’s a need for a more permanent facility in the area. 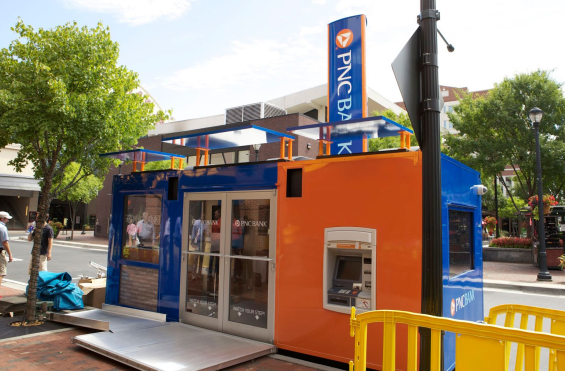 PNC’s pop-up branch may be the first in the U.S., but Barclays in the UK had introduced its own version of a pop-up branch back in 2010. PNC isn’t the only financial institution toying with smaller and smaller footprints for branches either. Recently Wells Fargo deployed an ultralight branch, as did BMO in Canada with their studio-sized location. Retail banking is changing dramatically as consumers are increasingly using technology to do most of their banking. A 2012 American Bankers Association survey found 39% use online banking as their preferred method of banking compared to 18% for branches. PNC is reportedly in the process of closing at least 200 branches across its network, but they also have plans to expand and add more branches throughout the southeast. As PNC redefines its retail banking business, the bank is exploring other innovative branch concepts. A new concept branch that opened in Philadelphia in July has an open floor plan, no teller counters, video conferencing and a digital “Discovery Table” with touch-screen computers and iPads. 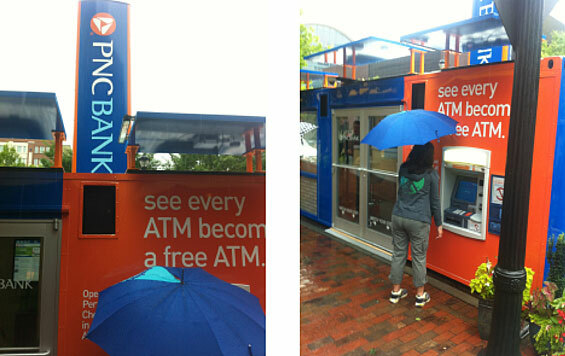 PNC is also testing a “Mini eBranch” concept in Pittsburgh. At a modest 2,100 square feet (PNC says this is about half the size of their traditional locations), the branch will be staffed by two bank specialists armed with iPads. Closing Thought: It would seem PNC is wrestling with the same questions about the future of branches as everyone else in everyone else in the retail financial industry. But by testing three different branch models concurrently, PNC is much more likely to stay ahead of the pack and find a solution that will work. It’s rumored that PNC will be introducing even more new experimental concept branches in coming months, so keep your eyes on these guys. 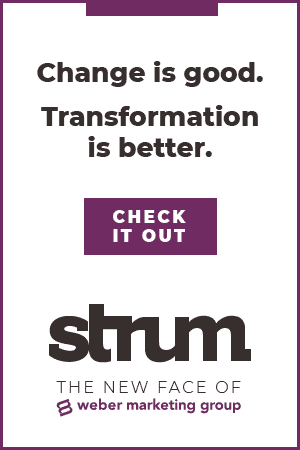 They just might land on that “branch of the future” design the banking industry has been so desperate to find. Whatever it is, it’s going to be smaller. 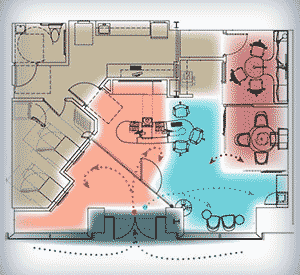 This article was originally published on August 5, 2013 . All content © 2019 by The Financial Brand and may not be reproduced by any means without permission.